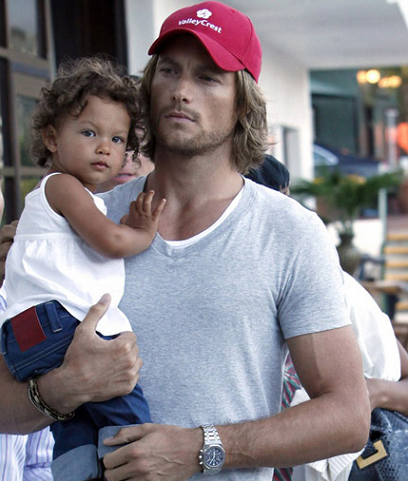 Halle Berry's ex-b/f, Gabriel Aubry wants $15,000 a month to 'maintain' their daughter, Nahla's lifestyle. Read here. I can hear some men saying "Why not? Women do it all the time!" ... but once again, call me old fashioned, A MAN JUST CAN'T BE A MAN if he is asking a woman to pay what should be his responsibility, that of THEIR CHILD. HIS CHILD. SORRY! Just seems like a major flaw in his character. Maybe you need to get familiar with my previous posts "Pet Peeve: A Cheap Person and "Bank On The View: Love & Money." While Gab is pussying around for Halle's money, Karrine Steffans' (The Vixen Diaries) twitter rant yesterday evening , surely must have emasculated her husband. Talk about keeping it real! BTW ... Happy International Women's Day!